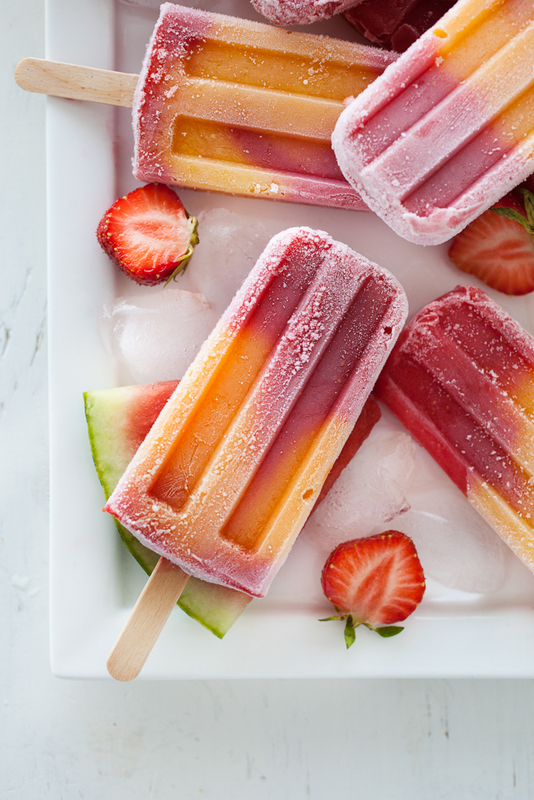 Popsicles are great for hot summer days, right? 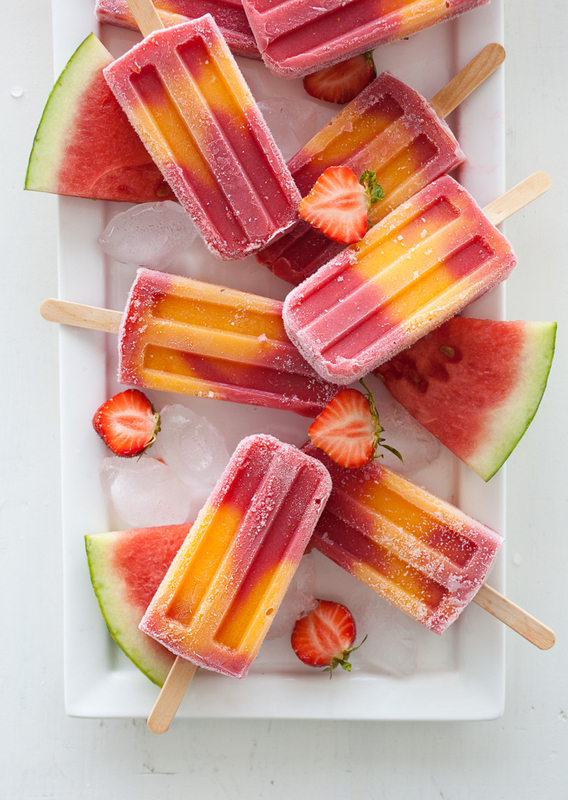 Especially these colorful and easy to make Strawberry Watermelon Mango Popsicles. 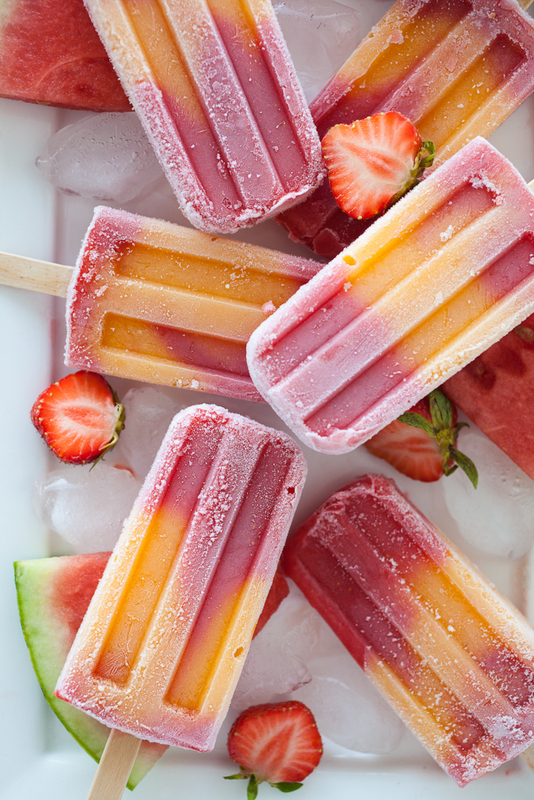 They will literally take 15 minutes to make: cut fruits, blend, mold, and freeze! Too bad that you will have to wait for them to freeze... But you can make them a day before and enjoy them next morning already. Hope you will like them:) If you have any questions, please, let me know! P.S.S. If you will make this recipe, don't forget to tag it @toetjeaddicted and #toetjeaddicted on Instagram and Facebook. I really love to see your creations!